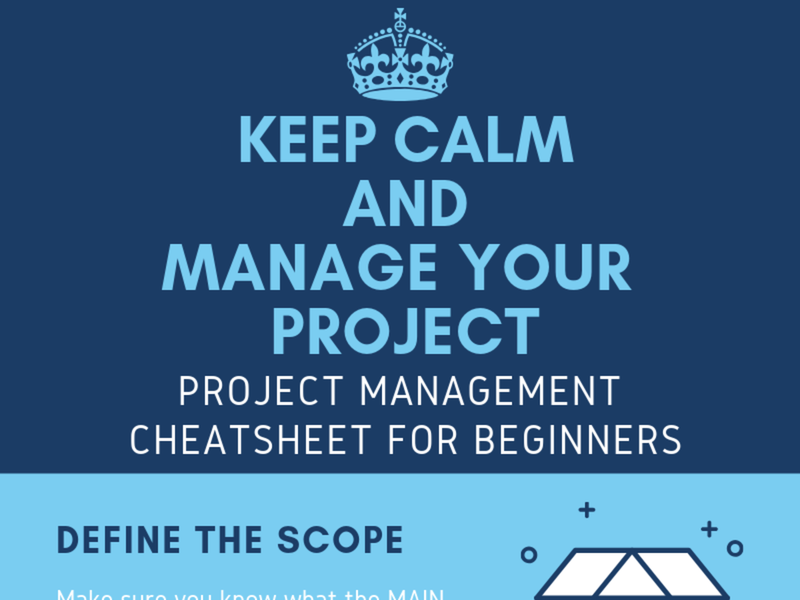 You have been asked to manage a project but, hey, you are not a project manager, right? 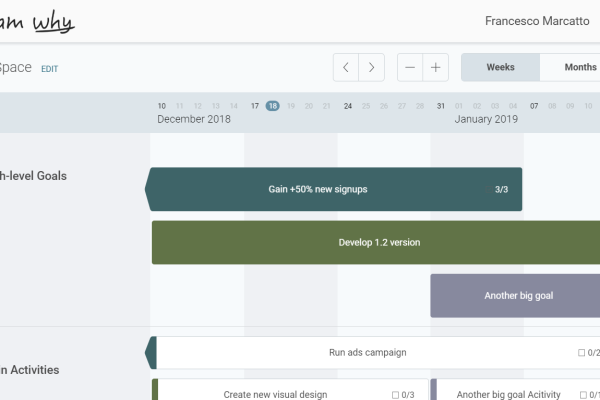 Maybe you’re a developer, a marketer, or a researcher, and you are damn good at your job but now it’s different: you have to manage people, teams, and make this project happen. How to get out of this alive and successfully? No worries, at Mindiply we’ve made a cheat sheet to help you. So make a deep breath, keep calm and start managing your project. You can download this article's infographic here. First things first. And the first thing in project management is to know what the main goal is and why it’s so important. Once this is clear, write it down somewhere accessible. In the long term, this will bring clarity as time passes by and someone starts asking “Tell me again, why are we doing this?”. In the short term, it will definitely be helpful when drafting the plan: Only tasks and activity relevant for reaching the main goal must be included in the project. Time – When should be finished the project? Are there any intermediate results expected? People – Who will be involved? Which kind of skills and expertise do they have? Money – What’s your available budget? Is it flexible? What if we discover we need some extra funds to deal with the unexpected? Now it’s time to create the roadmap that will bring you from your current position to the so desired end goal. Even the biggest challenge can be overcome by dividing it into a sequence of tasks and assigning them to the right people. What. Each task should have an explicit outcome. Take extra care to make them clear and unambiguous, so it will be easy to understand if they have been fully completed or not. Who. Task ownership should be clear. If you are assigning something to a team, identify anyway a team leader who will be your main contact. By when. Ah, deadlines! Each activity should have a starting and an ending date. Try to set realistic deadlines, and be extra careful since most tasks will be dependent upon another, so a delay in task A will very likely cause problems to task B and so on. Friendly advice #1: Try to set realistic deadlines. We are always too optimistic when setting deadlines, and this bias is very hard to reduce (you might already have read about the planning fallacy). But there is something you can do: look at how long it took to accomplish something similar in the past. If in the last year your marketing team took two months to finish the market research, there is no point in expecting that this time they will do it in three weeks. Otherwise, you can use a simple but very effective rule of the thumb: do your best to calculate an accurate estimate, and then add a 30% more time. Friendly advice #2: Don’t over plan. You know the old saying “no plan survives contact with the enemy”, right? Create sub-tasks if you want, but don’t go deeper, and don’t tell people how they should do their work. Make sure people know the outcome (the what) and let them find themselves how to reach it by using their knowledge and expertise. Does it sound weird? Maybe, but it works. It’s the principle behind the Commander’s Intent, a communication tool developed by the Army in order to foster good communication, reduce misalignment, and motivate and engage people. You know that there is a lot of buzz nowadays about soft skills, right? Well, the most important skill for a successful project manager is being an able communicator. A soft skill indeed. Managing a project means communicating. Let’s see why. Ok, you have created a created a beautiful roadmap, but things don’t happen by magic. First, you have to share it with all the people involved in it. Develop it in a way they will understand it. Gantt charts, especially modern, rich-content Gantt charts, are extremely effective at this. Ask for feedback and evaluate with them if the plan is sound and especially if the deadlines are realistic. Be open to comments and don’t fall in love with the first version of your plan, it’s very likely you’ll have to change it multiple times. A major issue in project planning is to show up for updates just before a deadline is about to close only. As a project planner, you need constant updates from people working on the project. This is fundamental for tracking progress and understanding how well things are going, and for discovering blocks before it’s too late. Friendly advice #3: Develop a routine for receiving feedback and stick to it. One alternative is to establish a weekly meeting with all the team leaders to catch up with progress. A meeting-free alternative is that each Monday they send you their to-do list for the week, and on Friday they send you the list of what they have actually accomplished. In the end, it doesn’t matter which system do you use, the important is to be consistent. Don’t make the mistake of thinking that you are a one-man army. Running a project is a shared effort, and even if you are the one in charge of managing it, you win or lose as a team. So when things change, you must update the people involved, and if you discover potential issues, ask for help. It’s never wise to keep stakeholders in the dark. Keep them informed, instead. Even if things are not going as planned. Again, develop a stakeholders communication routine and send them a status report regularly. An updated stakeholder is a happy stakeholder. If you find this guide useful and want to receive similar stuff on a (more or less) regular basis, just write your email address in the field below this post. Happy project managing!